San Leandro Unified School District (District) filed a request for expedited due process hearing (complaint) with the Office of Administrative Hearings (OAH), State of California, on October 1, 2013, naming Student. On joint motion of the parties the matter was continued for good cause from November 26, 2013, until December 2, 2013, to allow time to file written closing arguments. Closing arguments were timely filed and the record was closed on December 2, 2013. Administrative Law Judge (ALJ) Marian H. Tully heard this expedited matter in Oakland, California on November 21, 25, and 26, 2013. Attorney Matthew J. Tamel represented District. Attorney Amy Levine attended the first day of the hearing and David Poeschl, District’s Director of Special Services, attended each day on behalf of District. Student was represented by his mother (Mother). Student and his father (Father) attended each day, and Student’s brother attended the last two days. 1. Is maintaining the current educational placement of Student at Monroe Elementary School substantially likely to result in injury to Student or to others? 2. If so, is the District’s proposed placement of Student at Roosevelt Elementary School, as offered in the September 27, 2013 individualized education program (IEP), an appropriate interim alternative educational setting (IAES), for not more than 45 days? 1. At the time of hearing, Student was eight-years-old and resided with Mother within District boundaries. Student was eligible for special education under the category of emotional disturbance due to difficulty with behavioral regulation and inability to maintain appropriate interpersonal relationships. Student’s current placement was a mild/moderate special day class (SDC) at Monroe Elementary School (Monroe). 2. 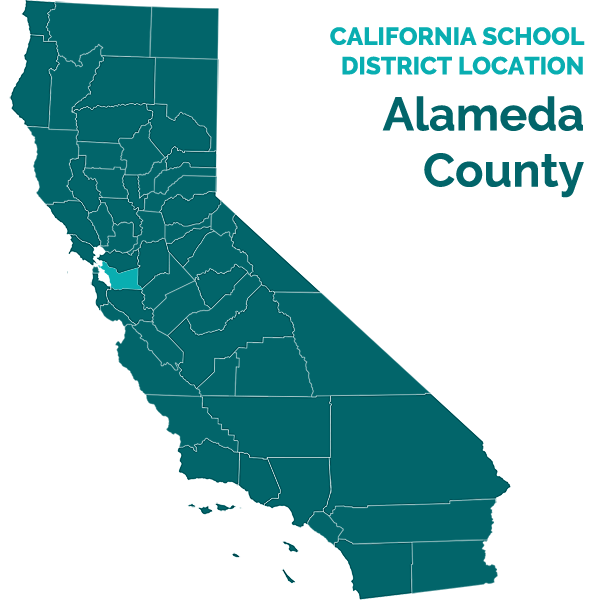 Student transferred to District in February 2013 from Oakland Unified School District (Oakland). Jeanette McNeil was the principal of Monroe when Student transferred to her school from Oakland. Ms. McNeil reviewed Student’s records, and learned Student had behavior challenges while attending Oakland. Student came to Monroe with a history of aggressive behavior including assault, spitting, throwing objects towards peers and adults, causing physical harm to school staff, destruction of property, and profanity. Ms. McNeil felt that Student would require a one-to-one aide to assist him in class during his transition to Monroe. 3. District held the first IEP team meeting at Monroe on February 4, 2013, to discuss Student’s transition. The team reviewed Student’s initial, December 13, 2012, IEP from Oakland, other records from Oakland, and notes supplied by Mother describing Student’s school history, personality, and likes. The team discussed Student’s behaviors. District behaviorist Eva Maria Caraher explained the need for a Functional Analysis Assessment (FAA) and the process for completing that assessment. The team, with Mother and Father’s consent, agreed to conduct the FAA and to an interim placement in a regular classroom with at least one hour of behavior support daily, a shortened school day, and a one-to-one aide to help Student transition. 1 CPI is a method of physical restraint in which a qualified adult holds the child’s arms crossed in front of the child’s body by standing behind the child and crossing the adult’s arms over the child. 5. District held a thirty-day IEP team meeting on March 1, 2013. Safety concerns at that time included an incident where Student poked himself with a straightened paper clip, picked up chairs above his head in a threatening manner, attempted to stab a child in the back with a pencil, kicked and hit staff, and threw chairs. The episodes were violent and unpredictable. The IEP team, with Mother and Father’s consent, changed Student’s placement to a mild/moderate SDC in order to provide a small group setting, additional aide support, and to support positive behavior. 6. Trina McFarland was Student’s teacher. Ms. McFarland had worked with special education children for approximately 20 years. She held a mild/moderate special education K-12 clear credential, a clear K-12 art credential, a Master of Arts in special education, and she was certified in autism, diversity training, and CPI. She was familiar with Student’s school records and assessments, and was part of his IEP team. Student attended her class from March 2013 until the end of May of 2013, and then again in the fall semester. During that time, Student’s behaviors caused her to evacuate the classroom on multiple occasions. Ms. McFarland was concerned about the safety of her other students because small things triggered Student’s unpredictable violent behavior. 7. Ms. Caraher performed Student’s FAA. She produced a report on March 19, 2013. Ms. Caraher held a Master of Science in counseling, a pupil personnel services credential, and was a board certified behavior analyst. She was employed by District as a behavior specialist since August 2006. Before her employment with District she worked for four years as a behavior specialist and two years as a behavior intervention specialist with two other districts and as a behavior consultant for approximately six years. Ms. Caraher determined that the function of Student’s behaviors was to avoid situations he found stressful such as staying seated, doing school work, or playing games during recess when he felt he was not skilled or successful at the game. She recommended a positive behavior intervention plan. 8. On March 20, 2013, the IEP team met to discuss Student’s progress in the SDC, the results of the FAA, services, and placement. Ms. Caraher presented her report. The IEP was amended, with the consent of Mother and Father, to include two additional behavior goals and a behavior intervention plan based on the FAA results. 9. On May 14, 2013, Student attacked a classmate with a plastic knife-type tool used to sculpt clay. Student appeared angry and enraged. He was trembling and did not respond to verbal redirection. When he attempted to lunge at the child again, Ms. McFarland blocked Student and placed him in a CPI restraint. He stomped on her foot and attempted to kick her while he was restrained. The classroom was evacuated. On May 21, 2013, Student pushed a classmate and hit a girl in the face with a metal lunch pail. Student then ran off campus. The girl was crying and taken to the office to apply ice. On May 22, 2013, when asked to let others have a turn at the classroom computer, Student picked up the computer and attempted to throw it. When his aide held that computer so he could not throw it, he attempted to throw another computer. He attempted to throw chairs. He moved as if to punch a classmate. When the aide tried to block the punch, he hit her, twisted her fingers, and kicked her. The classroom was evacuated. The aide received medical attention for a sprained finger. 10. Alameda County Mental Health Services evaluated Student and produced a report dated May 17, 2013. According to the report, Student qualified for educationally related mental health services (ERMHS). The report concluded Student would benefit from a small, structured classroom setting, dedicated mental health support in the class, and individual, family, and group therapy to address the emotional issues underlying in his behavior. 11. On May 29, 2013, due to safety concerns for Student, staff, and children, the IEP team, with Mother’s consent, amended the March 1, 2013 IEP to place Student in a separate classroom with a teacher, an aide, and additional support by Ms. McFarland as needed until the end of the school year. 12. On June 7, 2013, Student was on a break with his aide when he got in an altercation with other children playing basketball. He kicked a ball into the street, causing three children and the aide to run to the street. Staff directed children in the school yard to return to their classrooms. Student threw a basketball at a child’s face and knocked the child down. He was suspended for two days. 13. Student began the 2013-14 school year on August 21, 2013, in Ms. McFarland’s SDC. Ms. McFarland’s class had 14 children in addition to Student. The class included children with autism, speech and language disabilities, and emotional disturbance. 14. On August 30, 2013, Student left his classroom, picked up a chair and acted as if he was going to throw it; he then picked up a metal trash can as if he was going to throw that. On September 3, 2013, Student was disruptive, called his peers “stupid,” behaved in a threatening manner, and would not respond to redirection. He ran at another child as if to stab him with a pencil. When an aide tried to stand between Student and the child, Student tried to run around the aide to get to the child. When the aide blocked Student, he threw a game at the aide and ran from the classroom as if he would run off campus. A CPI trained teacher blocked Student’s way. Student threatened to stab the teacher with four lead pencils and lunged at her. He was placed in a CPI restraint. In the restraint, Student bit both the teacher and Ms. McNeil. The teacher was bruised, and the bite on Ms. McNeil broke the skin and left a mark. On September 8, 2013, for safety reasons, Student was again placed in a separate classroom with a teacher, an aide, and his case manager. 15. The IEP team met on September 9, 2013, to discuss Student’s placement. The team discussed changing Student’s placement from Ms. McFarland’s SDC at Monroe to a counseling enriched (CE) program at Roosevelt Elementary School (Roosevelt). Roosevelt Principal Victoria Forrester attended the meeting and described the CE program at Roosevelt. She talked about the counseling component of the program and described the counseling enriched class. Students in the CE program are at or near grade level. The students are almost immediately mainstreamed into general education to the extent to which they are able, are integrated into the school, and attend all school activities. In her experience, students normally and quickly integrate into the classroom. Student’s March 1, 2013, IEP was amended, with Mother and Father’s consent, to District funded independent educational evaluation of speech and language and psychological needs, changed Student’s placement from the SDC to the separate classroom setting at Monroe with a teacher and an aide. Mother and Father agreed to visit the CE program at Roosevelt. Although Mother consented to the separate classroom placement, she informed District that she wanted Student to go to recess, lunch, music, and physical education. Mother and Father toured Roosevelt with Ms. Forrester a few days later. 16. Ms. Forrester was employed by District as the Principal at Roosevelt from 2007 through the dates of the hearing. Ms. Forrester held a Bachelor of Arts in psychology, a Master of Arts in educational leadership, an administrative services credential, a California multiple subjects clear credential, and she was trained in CPI. She had 27 years of professional experience, including 22 years teaching, and an extensive background working with at risk students and their families. The CE program began during her first year as principal at Roosevelt. The program was for special education students with emotional disturbance needs. All of the students in the program had IEP’s and behavior support plans. The program implemented the student’s IEP and behavior support and an additional highly individualized program of sub-goals developed by the CE staff. The purpose of the program was to get the student the help they needed in order to integrate into a general education class. The program did this by providing full-time counseling service, highly trained staff, small class size, and a secure environment. All students received individual and group counseling from a licensed marriage and family therapist to help them regulate their emotions and behaviors. The therapist also worked with students’ families. The therapist’s office was near the CE classroom. He was able to quickly respond to emergencies. The focus of the program was on the student’s behaviors at the outset. As the student was better able to regulate behavior, anxiety became reduced and students were generally better able to make progress in academics. As they were able, students were mainstreamed in increments, increasing the number of minutes in grade level general education classes. Ms. Forrester demonstrated an understanding of Student’s behavioral and academic needs. In her opinion, the CE program was highly successful, and an appropriate placement for Student. 17. On September 23, 2013, Student knocked a cupcake out of his brother’s hands. Student told his aide that it was an accident. When the aide told Student she did not believe him, Student became angry and kicked an uninvolved child hard in her stomach. 18. The IEP team met again on September 27, 2013, to discuss Student’s recent behaviors and a change in placement. District offered Student placement in the CE program at Roosevelt with mainstreaming for non-academic and academic activities as Student’s behavior allowed, 50 minutes individual counseling weekly, two 50 minute group counseling sessions a week and two 50 minute sessions of parent counseling monthly. Father consented to the offer. Mother did not. Student continued in the separate individual classroom at Monroe with three adults through the time of the hearing. 19. On September 30, 2013, Student was playing with other children. Student got angry and threw a basketball at another child, hitting her hard on the side of the head. On October 2, 2013, he punched a child and walked off campus. Ms. McNeil followed him. He returned to campus after she told him she would restrain him or call the police if he did not return to campus. On October 8, 2013, Student banged a cart into a closet door in his classroom, pushed a chair at the teacher, and picked up a trash can in a threatening manner. He cursed and raised his fist toward staff. He went to the bathroom. When he came out, he swung his fist at the teacher and walked off campus toward the street. Staff blocked his exit. Ms. McNeil and another teacher were called to assist. He walked back toward school raising his middle finger, cursing, and raising his fist at staff. He then ran through the halls and into the parking lot. On October 11, 2013, he got in a disagreement with children on the playground and, when adults tried to intervene, he walked off campus and down the street. 20. From August 21, 2013 through October 23, 2013, Student was suspended for nine days, eight of those suspensions occurred while Student was maintained in the separate classroom under the supervision of three adults. On October 23, 2013, District held a manifestation determination review. District determined that Student’s behaviors were a manifestation of his disability. Ms. Caraher prepared, and District provided, a positive behavior intervention plan to further address Student’s behaviors. 21. On November 8, 2013, Student was playing tetherball with other children during recess. A disagreement arose as to whether Student was “out” and had to go to the end of the line. Student “bumped into” the smallest girl in the line, grabbed the ball, and then pushed and hit the child who told him he was out. On November 19, 2013, Student hit his brother, and hit and kicked a teacher. 22. On November 21, 2013, Student bit Ms. Caraher, drawing blood and creating a mark. Later that day, at hearing, Ms. Caraher was in pain. 23. By the time of hearing, Ms. Caraher had been working full-time with Student in his separate classroom for four weeks. She and the other two adults attempted to implement Student’s IEP and provide curriculum “as much as they can.” Student was mainstreamed at lunch and recess “on a good day.” He refused to go to physical education. Student’s frustration tolerance was minimal. His behaviors had increased in severity and frequency. Ms. Caraher was afraid for Student’s safety when he eloped because she knew how fast he could get off campus. Ms. Caraher did not believe Student’s behavior plan in his current placement was sufficient because Student’s emotions were unpredictable and a behavior plan did not address emotional needs. She believed Student needed counseling or talk therapy, which was not available at Monroe, to address emotions and other factors. Ms. Caraher was familiar with the CE program at Roosevelt. In her opinion, it was a proven successful counseling enriched program, run by highly trained staff, and designed to move students into regular classes as each was able. Roosevelt could implement Student’s IEP and BSP, and Student would better learn skills in class with other students than in his current isolated setting. 24. Principal McNeil was an experienced administrator and teacher. Ms. McNeil held a multi-subject clear credential, an administrative credential, a Master of Arts in educational leadership, a teaching credential, and a certificate in CPI. Ms. McNeil was familiar with Student’s progress at Monroe. Teachers and staff working with Student reported behavior and disciplinary incidents to her, Student was brought to her office during or after these incidents, and she assisted staff with Student as necessary. She attended Student’s IEP team meetings. She was familiar with the CE program at Roosevelt. She had visited the site, talked to Roosevelt’s principal, and understood the therapeutic program. She believed that Roosevelt could provide better support for Student, and implement his IEP so that Student could participate in the general curriculum and make progress on his goals. 25. Mr. Poeschl was employed by District as Director of Special Services for two and one half years. He was responsible to oversee 170 staff and 1,200 special education students at 13 school sites . Mr. Poeschl was an experienced administrator, teacher, and lecturer. His teaching experience included five years teaching children with extreme behaviors. As a lecturer, he taught special education to general education teachers, including how to write IEP’s and implement BSP’s. Mr. Poeschl held Masters of Arts in special education and education leadership. He held a lifetime mild/moderate teaching credential and a lifetime administrative credential. 26. Mr. Poeschl became aware of Student’s behaviors when Student transferred into District. He became directly involved with Student in May 2013 when Student was first restrained in the classroom. He attended the September 9, 2013 and September 27, 2013, IEP team meetings. Mr. Poeschl understood Student’s behaviors were extreme and increasing in intensity and frequency. He was concerned Student, or someone else, was going to get hurt and he was worried about the access to the street. He was aware of the injuries to the children and staff. He believed this was likely to continue because the current setting did not reduce Student’s aggression, but there was nothing else District could do to reduce the likelihood of injury to Student or others in the current placement. Mr. Poeschl was familiar with the CE program at Roosevelt. In his opinion, the program would enable Student to participate in a general education curriculum and to make progress in the goals of his IEP, permit the completion of assessments, and address Student’s emotional issues as well as his behaviors. Roosevelt was three or four miles from Monroe and District would provide transportation. In Mr. Poeschl’s opinion, the isolated classroom at Monroe was not appropriate because Student had little or no interaction with peers, no counseling, and Student’s aggression was escalating. 27. Mother believed Monroe did not provide adequate services for Student and that his behavior support was not effective. She felt that the students at Monroe harassed and bullied her son, and that the school psychologist made inappropriate comments about him. She was very concerned that the independent evaluations agreed upon were not being completed in a timely manner. Mother refused to support Student’s placement at Roosevelt, not because she felt it was inappropriate but because she wanted the evaluation completed first in order to make an appropriate placement decision. In her view, Student had anxiety about meeting new people, he did not trust adults, and he needed to feel safe. Mother was concerned about moving Student from Monroe to Roosevelt, if it was only going to be a temporary placement. 1. District contends Student’s current placement at Monroe is substantially likely to result in injury to Student or others. District seeks an order to that effect, and an order that the CE program at Roosevelt and related services offered in Student’s September 27, 2013 IEP is an appropriate IAES for not more than 45 days. Student agrees Monroe is not an appropriate placement for Student. Student disagrees with any change in placement until after the agreed upon IEE was completed. For the reasons set forth below, the evidence showed that Student’s current placement is substantially likely to result in injury to Student or to others and that the CE program at Roosevelt is an appropriate IAES for not more than 45 days. 4. A school district may request a due process hearing to authorize a change of placement if the District “believes that maintaining the current placement of the child is substantially likely to result in injury to the child or to others….” (20 U.S.C. § 1415(k)(3)(A); 34 C.F.R. § 300.532(a).) Conduct that has been found substantially likely to result in injury includes hitting, kicking, shoving, biting, climbing on classroom furniture and cabinets, shouting obscenities, throwing objects at people, running out of the classroom, and banging on the doors of other classrooms. (Long Beach Unified School Dist. v. Student (2008) OAH case number 2008030017.) Other behaviors that have been found substantially likely to result in injury include: hitting an adult in the back, lunging at the teacher and trying to punch and hit her, yelling and threatening people (Fort Bragg Unified School Dist. v. Parent on Behalf of Student (2008) OAH case number 2008100507); throwing desks, knocking over a computer, yelling and screaming, hitting, kicking, punching, and biting adults (Fullerton Joint Union High School Dist. v. Student (2007) OAH case number 2007040584); and throwing objects, kicking other children, punching and kicking school staff, eloping from school and running into the street, knocking over another child, screaming, and destroying property (Lancaster Elementary School Dist. v. Student (2006) OAH case number 2006030771). 2 References to the Code of Federal Regulations (C.F.R.) are to the 2006 regulations. 6. Student’s current placement at Monroe has caused and is substantially likely to continue to cause injury to Student or to others. Student’s physical aggression resulted in injuries to children and District personnel, and was substantially likely to continue given Student’s history. Student’s physical aggression and eloping behavior put Student at risk of injury in the classroom, on the playground, in the school parking lot and on the street. These behaviors persisted even after Student was placed in an isolated separate classroom with three skilled adults. Even in this highly restrictive environment, Student’s anger and violent emotions were unpredictable and his aggressive behavior did not respond to redirection or physical restraint. From the time Student transferred from Oakland to District through the IEP offered on September 27, 2013, and the MDR review on October 23, 2013, District reviewed and revised the behavior goals in Student’s IEP, conducted an FAA, provided a positive behavior intervention plan, created a behavior support plan, added highly skilled and trained staff to provide fulltime individual support for Student in the classroom and on the playground, and placed Student in a separate isolated classroom. None of this helped Student’s emotional issues or reduced his aggressive or eloping behaviors. Accordingly, District demonstrated by a preponderance of the evidence that Student was substantially likely to injure himself or others in his placement at Monroe. 7. The evidence also demonstrated that the CE program at Roosevelt is an appropriate IAES for not more than 45 days. The staff was well trained and experienced. The student to staff ratio was low. The program provided an appropriate level of therapeutic counseling, could implement Student’s IEP and BSP, and would provide access to the general education environment. A full-time therapist worked with students individually, in groups, and with their families. The therapist’s office was close to the CE classroom and he could quickly respond to a crisis or emergency. A 45-day interim placement in the CE program at Roosevelt would enable Student to participate in grade level, or near grade level curriculum, with appropriate individualized behavioral intervention services, modifications and supports to address Student’s needs. Mother preferred Student remain in his current placement until evaluations were completed and an IEP could be held to determine an appropriate more long-term placement, but she did not contest the merits of the program. Mother’s concern for the possible anxiety a potential change in placement after the 45-day interim placement might cause Student does not outweigh the substantial likelihood that Student’s continued placement at Monroe would cause injury to Student or others. Accordingly, District demonstrated by a preponderance of the evidence that placement in the CE program at Roosevelt was an appropriate IAES for not more than 45 days. If Student attends a program within District, District may change Student’s placement to the CE program at Roosevelt without parental consent for a period not to exceed 45 school days. Pursuant to Education Code section 56507, subdivision (d), the hearing decision must indicate the extent to which each party has prevailed on each issue heard and decided. Here, District was the prevailing party on all issues presented.